I was provided a complimentary copy of this book from the publisher through BookLook Bloggers in exchange for an honest review. 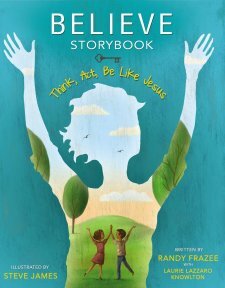 Believe Storybook is an incredible book that teaches core beliefs about God and encourages children to Think, Act, and Be like Jesus. There are 30 chapters in the book with a story from the Old Testament and one from the New Testament, so there are 60 stories from the Bible included! The book discusses Beliefs, Practices, and Virtues of a Christian life and makes it understandable for children in a fun and loving way. Believe Storybook asks the child a question and then through the story, has the child seek that answer. Believe Storybook is the children's edition of the Believe books by: Randy Frazee, who is the senior minister at a large church in Texas. I also found a Believe Coloring Book in my local Christian store that goes along with the stories in this book, which makes it even more enjoyable for a child of any age. The Believe Storybook is a large, hardback book with over 250 pages of illustrations that are beautifully breathtaking by Illustrator, Steve Adams. In today's world, our children are being taught about the Bible but some are not making that heart connection in how to apply it to their lives. This book not only is about telling of the Bible stories, but it explains why these stories are so important. It is about teaching children about their faith and having it stick. For adults who do not have the knowledge of the Bible, it is a great resource for both adult and child to read together and learn. For the adult that does have this knowledge, it is seeing it in a different way and renewing and refreshing the faith we have in God. I am going to let you all in a little secret. I have not released what curriculum we are using yet for this upcoming homeschool year, but this is the book I will be teaching the boys for our Bible studies! It is a truly incredible book and I am so excited. It is perfect because it has 30 lessons in it, so one lesson a week. I would highly recommend this book to anyone. It is not just a book to be enjoyed by a child, but a book that will become a family favorite and have the kids saying, "Read it again! Read it again!" Thanks for taking the time to read my review. If you would like to find out more information on the author or read other reviews on the book, please check out BookLook Bloggers. If you are interested I'd love for you to share this with my weekly link up, where we share anything that is on our hearts, minds or bookshelves. It's open Thursday through Sunday, stop by any time you want. This is awesome!! We need more things to teach our children the Core beliefs like this! Thank you for the review. Your description of the book almost made me want to review it on Amazon--but I have to get ready for work. 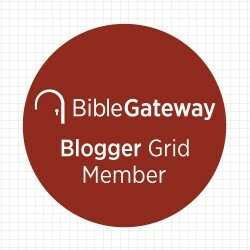 :) It's great that you were able to find a Bible study for the year in one resource. Sounds like a great book! 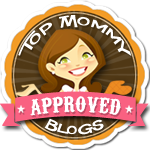 Thanks for sharing your review and for linking up at Christian Fellowship! I hope you remembered to join us this week, too. Blessings! Sounds like an amazing book. Thanks for sharing with #What to Read Wednesday. We hope you will be back again next week.